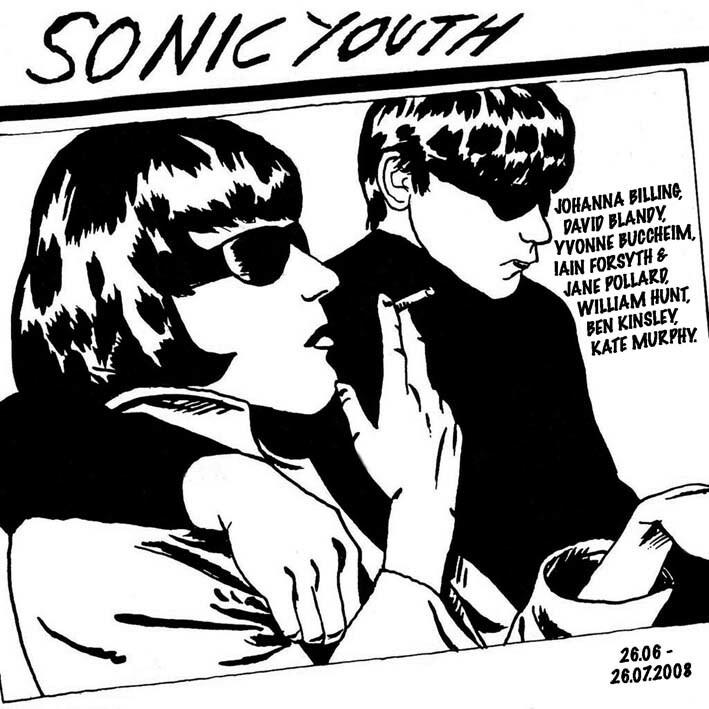 SONIC YOUTH an exhibition of 7 international video artists whose work offers an extensive and in-depth exploration of the various possibilities of the crossover between popular culture and video art. The pieces navigate a variety of sources including the history of film, iconography and a wide range of references to popular culture. The works play with global codes and canonized images that are integral to the collective memory. 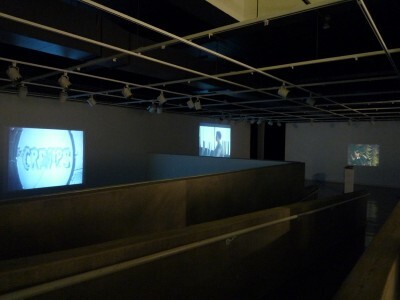 Documentary itemization, self-questioning and cultural sampling are videographic practices which the artists use to react to the construction of the everyday. An interest and participation in popular culture especially music represents an important component of their oeuvre. Ben Kinsley’s GESICHTSMUSIK is a musical self-portrait. All the sounds were produced with his voice and body, and through meticulous editing and layering, an audio-visual composition was created. Yvonne Buccheim, Herder’s Legacy presents amateur singers from 5 different countries (Germany, France, Ireland, UK and USA) in front of a white background eliminating all visual indication of the place of recording. This audio-visual creation inspired by Herder’s song collection from 1773 becomes an open field of research into the visibility of cultural identity within songs. David Blandy uses video, performance and comics to address how identity is constructed. Blandy’s piece The White and Black Minstrel Show, using the character of the White and Black Minstrel (an inverted Black and White Minstrel) to do “live” lip-syncing to songs like “I’m Black and I’m Proud” and “Is it because I’m black?”. This clownish figure, with a “whited-up” face, has come to embody Blandy’s cultural confusion in this post-colonial world. Iain Forsyth and Jane Pollard’s film project File under Sacred Music takes as its starting point an infamous video that documents a live performance by The Cramps for the patients at Napa Mental Institute, California, on 13th June 1978. Forsyth and Pollard began by re-enacting that legendary performance in order to film and remake the rarely seen video document. They consulted closely with a number of mental health arts organisations, before inviting members from Core Arts, Sound Minds and Mad Pride to attend the performance and filming, which was staged on a specially constructed set in the Institute of Contemporary Arts Theatre in London on 3rd March 2003. Kate Murphy’s narrative style in her documentary pieces Britney Love highlights an 11 year olds aspiration for her future as a celebrity. In her second piece, she revisits her at the age of 18 where she talks about her motivations and aims. William Hunt’s Even As You See Me Now employs video as a means of not only documenting but investigating and testing his own physical and psychological limits as he performs.